Another day, another Nordschleife lap record. 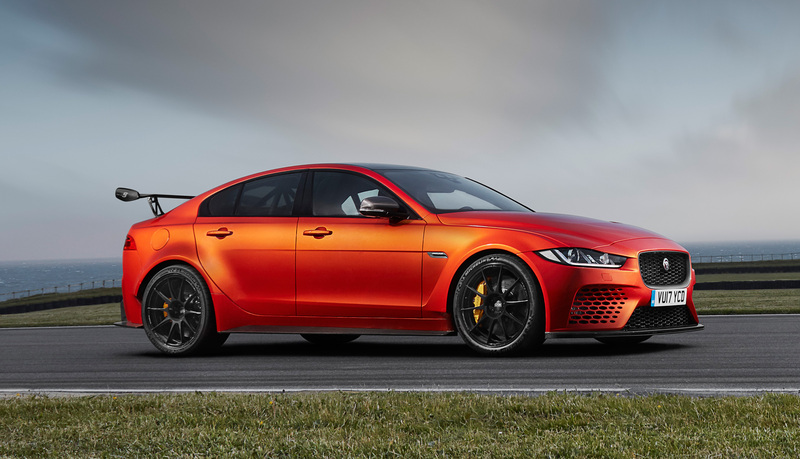 This time it’s the title for the fastest production spec four-door sedan around the Nürburgring and the claim has been made by Jaguar for their insane XE SV Project 8. 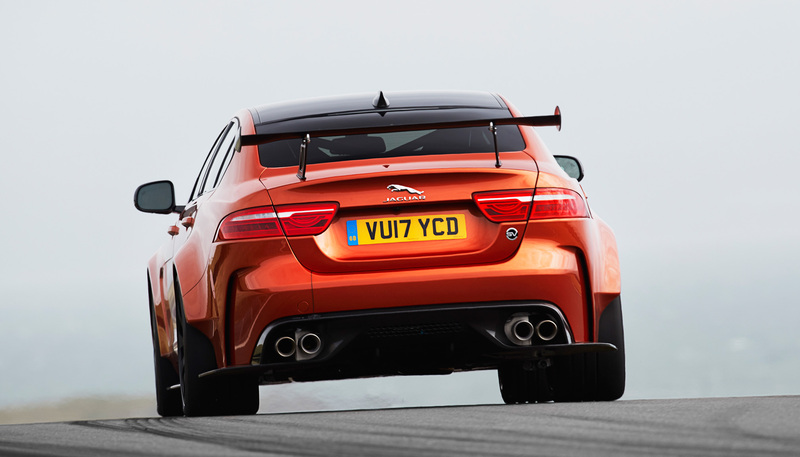 The record-setting time was set by a Project 8 running in Track Mode which lowers the ride height by 15mm, with the adjustable carbon fibre front splitter and the massive carbon fibre rear wing positioned for maximum downforce. The production-spec prototype was also likely in the ‘Track Pack’ spec, ie without rear seats and with a roll cage fitted. 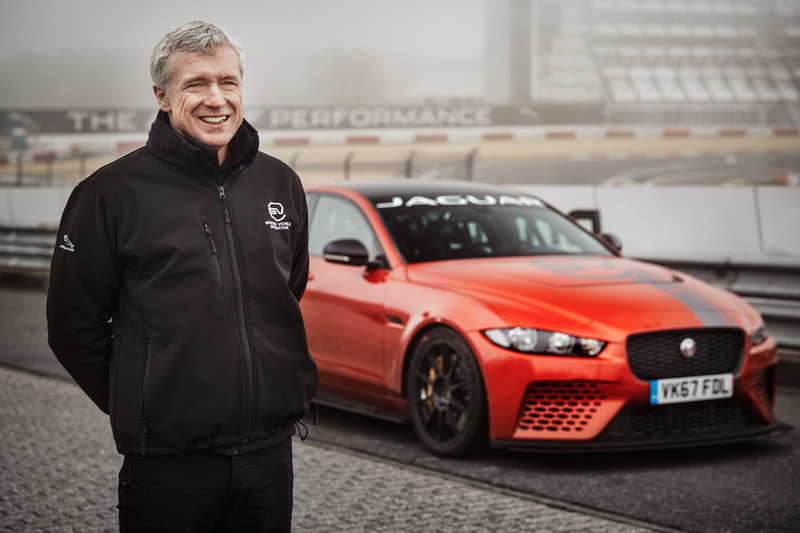 Jaguar’s supercharged XE for the track lapped a good 11 seconds faster than the Alfa Romeo Giulia Quadrifoglio and matched an independently set lap time in a Ferrari 488 GTB. Pretty good for something that weighs around 1.7 tons. 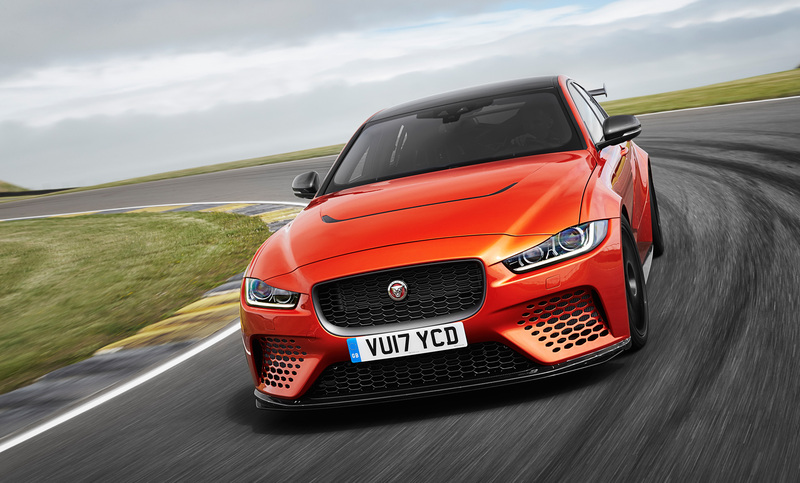 The hand assembly for the Project 8 which is limited to a production run of 300 units begins at SVO’s Technical Centre in 2018. 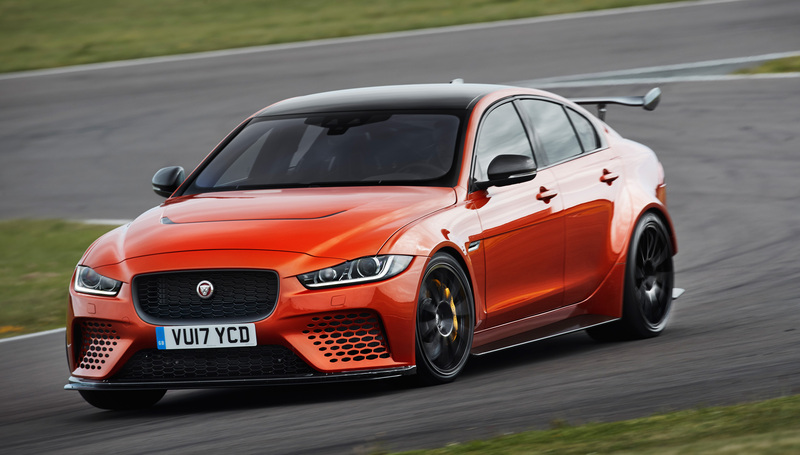 Jaguar unveiled the XE SV Project 8 earlier this year and is sold as a heavily customizable car except for changing the wheels or tyres. The reason is that a lot of work has gone into the 20-inch alloys with track day rubber fitted to it, like the fact that the front headlights were moved forward by 14mm to accommodate them. Only the roof and the doors are the same as the standard XE. In order to make it fast as possible, rear-wheel drive and manual transmission were not an option for Jaguar but they did fit it with an electronic differential on the rear axle which gets its own cooling system. It’s not meant to be an everyday car, but it still gets plenty of tech inside with all the carbon and Alcantara. 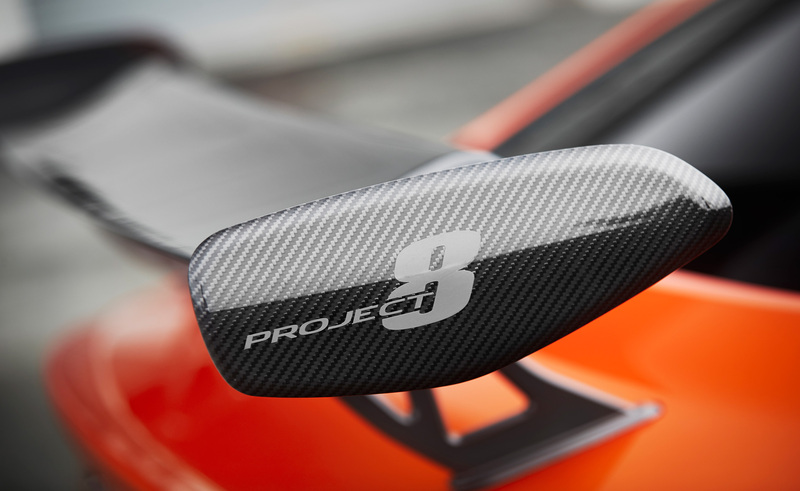 The Project 8 comes with four comfortable seats as standard as is the wonderful roar of that exhaust that you heard in the video clip of the lap record run. 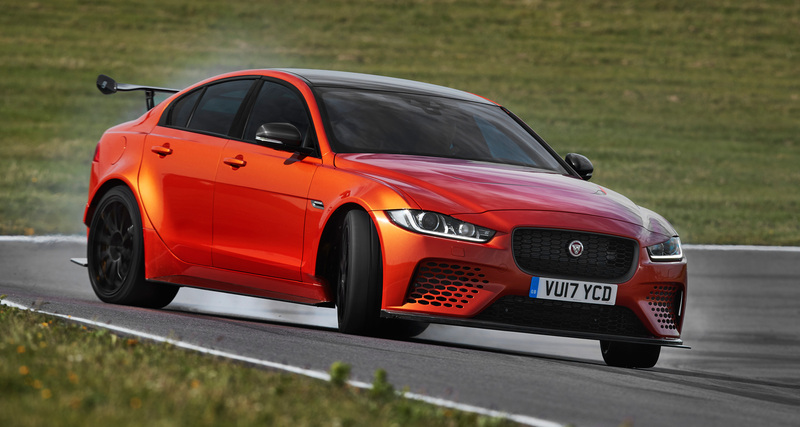 Of course, the Project 8 enters a category of many mad four-door sedans which may not be as quick on a track but are plenty of fun, like the BMW M4 GTS or a Mercedes AMG Black Series for the new E63S. 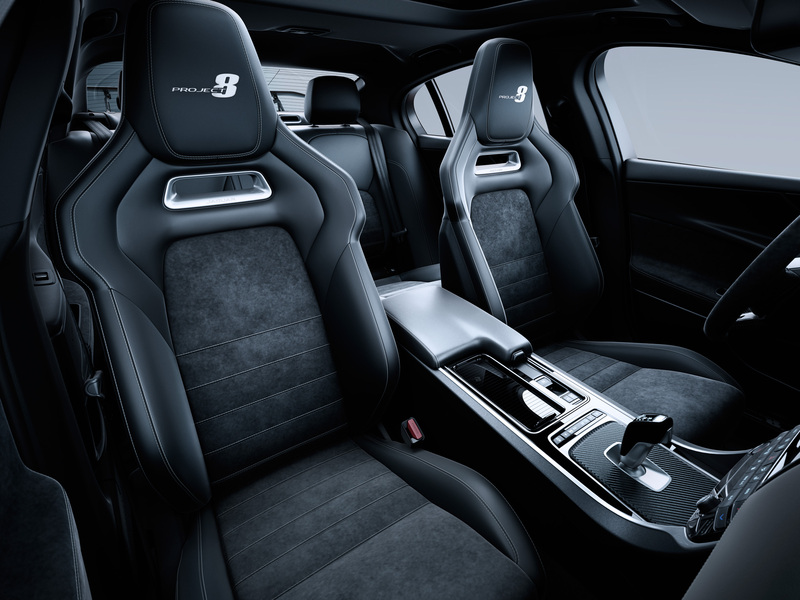 Though the 2018 Porsche Panamera Turbo S E-Hybrid could also give the car a run for its money while enveloping one in luxury given that it’s 4.0-litre twin-turbo V8 along with the electric motor have a combined output of 670bhp and 849Nm of twist. It’s unlikely that a Nürburgring lap record with that many variables will be one without complexities and that is the case here as well. The complexity coming from a run made earlier this year by a Subaru WRX STI Type RA NBR which completed the lap in 6m 57.5s, just half a second slower than the Porsche 918 Spyder. The Subaru here was heavily tinkered with by the folks at ProDrive, its 2.0-litre turbo boxer unit modified to produce over 600bhp and an aerodynamic kit as well. A spec that will not be up for sale. 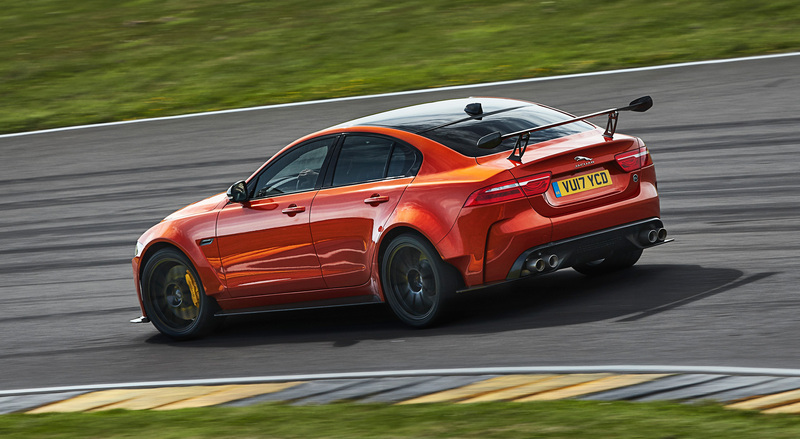 Hence making the Project 8 the quickest production spec prototype four-door sedan to lap the ‘Ring.